As a parent I know that babies’ skin is delicate and sensitive. Hence I am very careful when it comes to their body care as well as Fabric Detergent & Fabric Softener. I don’t use those harmful Fabric Detergent and Fabric Softener because I am worry that the leftover in their clothes will harm their delicate skin, I just don't want to take any chances like that ok.
On the other hand, as a mother of 2 daughters, I always prepare my girl’s clothes for passing down to the next sibling. My girls outgrown their dresses very fast, hence I would prefer to use a good quality fabric detergent & fabric softener to clean while maintain their clothes for a longer lifespan. 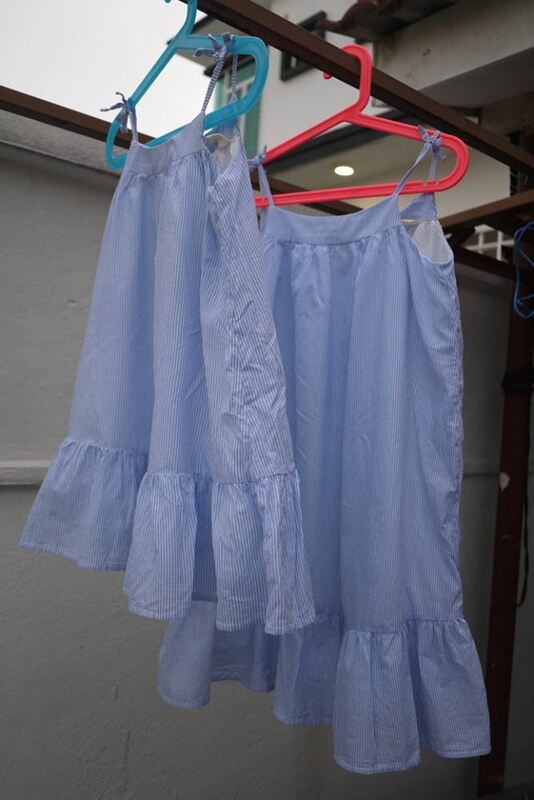 I have been using liquid detergent on their clothes because I find it tends to work better than powder for dirty and stains. Recently, I came across the B&B brand from Korea. 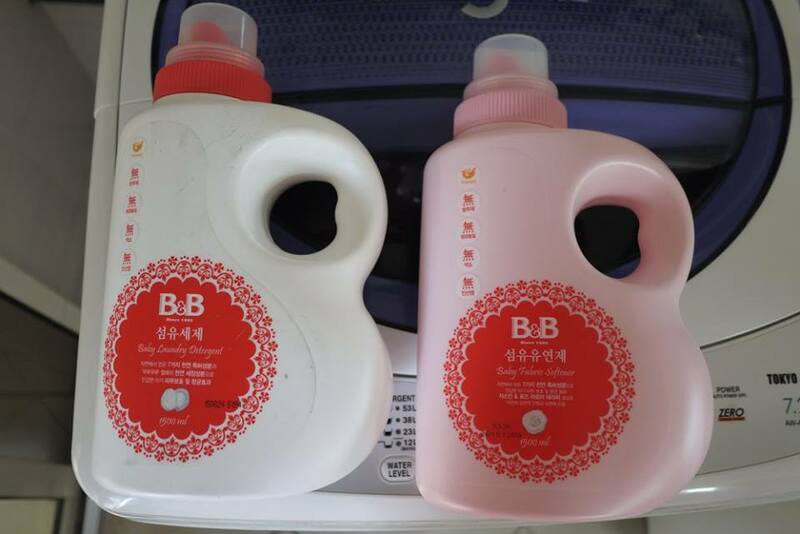 B&B also known as Baby & Basic is the most widely used brand among Korean moms for infant-related household products. B&B baby care products are free of harmful substances and made of natural ingredients only. Every product has an ‘AIEGE’ logo attached to it that promises to eliminate 30 potential harmful substances as proclaimed by European Bureau of Consumer Unions (BEUC) and USA’s environmental organisation EWC (Environmental Working Group). 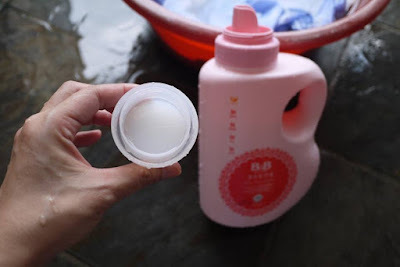 Characterized by its iconic pink packaging, B&B ranges from laundry and household products such as baby detergent, fabric softener, soaps, stain removal, bottle cleanser to dental and infant care items such toothbrushes, toothpastes, cotton buds and cotton swabs. 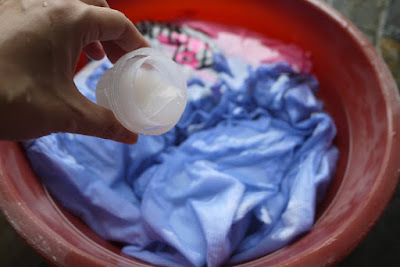 This time, I have given it’s Fabric Detergent & Fabric Softener a try. Made of 7 natural extracts including fermented bean, willow tree, portulaca, cinnamon, oregano, cypress tree, and root of skullcap, they provide the antibacterial effects and protects the delicate skin. Furthermore, it contains Murumuru fruit grown in the Amazon that has a natural cleaning effect. There is No harmful chemicals (preservative, SLS, SLES, fluorescence brightening agent, phosphate, synthetase). Over 97% biodegradability that is Eco-friendly and safe for the skin and will not cause any skin irritation. 1. Apply a little B&B stain remover onto tougher stain before putting into washing machine. 2. Pour B&B Fabric Detergent into cap following dosage instruction. 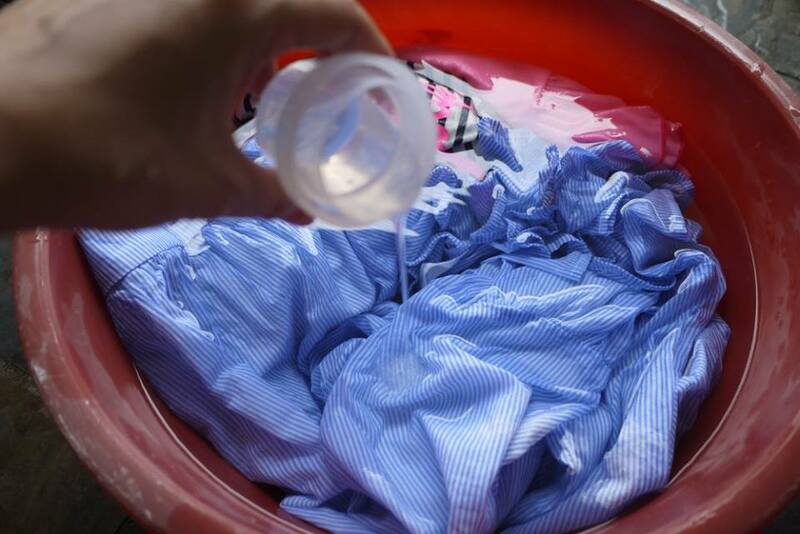 For best results, soak for 30minutes before starting washing machine. Hand Wash: 1. Mix warm water with recommended dosage. Gently rub and rinse thoroughly with water. 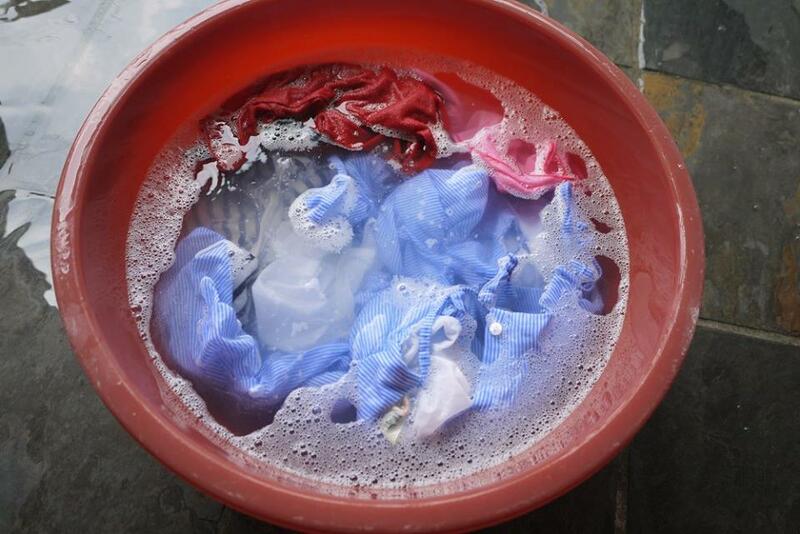 Verdict: I normally hand wash my girls’ clothes. 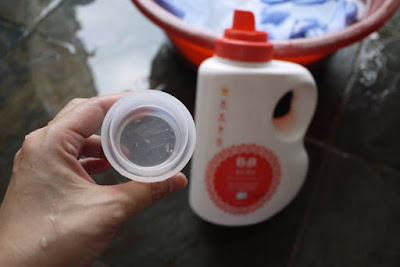 The B&B fabric detergent is gentle even on my hand; I do not feel dry or itchy after soaking their clothes in B&B fabric detergent and wash with my hands (without wearing gloves). The liquid is easy to pour with the unique bottle’s design. Now it has become my handy fabric detergent for my girls. Just like the detergent, the softener is also made of 7 natural extracts and No harmful chemicals. It comes in floral Jasmine and Rose fragrance to aid baby in having better sleep. Plus, it contains antibacterial substances that prevent any germ propagation. Direction: Pour B&B Fabric Softener in the last rinse water or in washing machine dispenser. Dry after rinse. Verdict: B&B Fabric Softener comes in very mild and natural scent which I like. 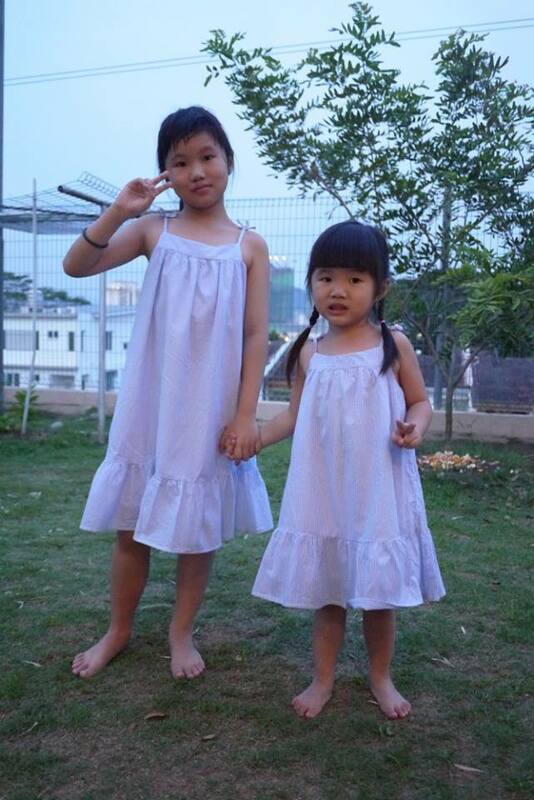 The softener has made their clothes softer and more comfortable to wear. It has a cute light pink packaging which is very nice to see. Free of harmful substances and made of natural ingredients, B&B baby care products make taking care of the child easy and provide a healthy lifestyle for the Mom and the baby. B&B Fabric Detergent & Fabric Softener are available in major baby retail stores like Mothercare and selected Aeon and Tesco. I'm a mom of 2 girls two. Yours are lovely. Seems like a good detergent. Gentle for baby as well. Will try if possible! !